Cleveland is home to Playhouse Square, the second largest theater district in the US. 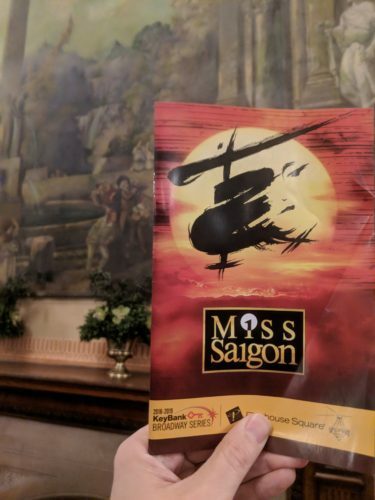 Last night I saw “Miss Saigon” at the Key Bank State Theater, one of the eleven theaters that make up the district. “Miss Saigon” was an amazing performance and very moving show! The cast was incredible. It will continue through February 17 in Cleveland, so check it out if you can. In February of 1921, the State theater opened as part of the Loew’s theater chain. The lobby of the State theater is the longest theater lobby in the world! Check it out on our Downtown Highlights Walking Tour. To book visit our Book Tour page.